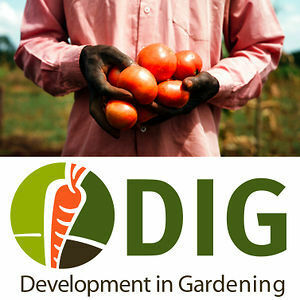 Development In Gardening (DIG) empowers communities to develop sustainable community gardens improving the nutrition and quality of life for people living with HIV/AIDS, orphans, pregnant women and other vulnerable populations in Africa and South America. Understanding that individuals lacking in micro-nutrients are less likely to productively contribute to their community, DIG aims to provide access to food and proper nutrition. From the initial target garden to subsequent cooking and nutrition classes, DIG seeks realistic strategies to ensure the harvest produced makes it to the mouths of participants.